Atoms naturally have the highest degree of geometrical symmetry, corresponding to the spherical symmetry. An interesting property often arising from symmetry is a high degree of degeneracy–a characteristic of quantum energy levels wherein a given energy level can correspond simultaneously to two or more different states in a quantum system. Degeneracy gives rise to properties including high conductivity and magnetism, which could be exploited to create novel electronic materials. 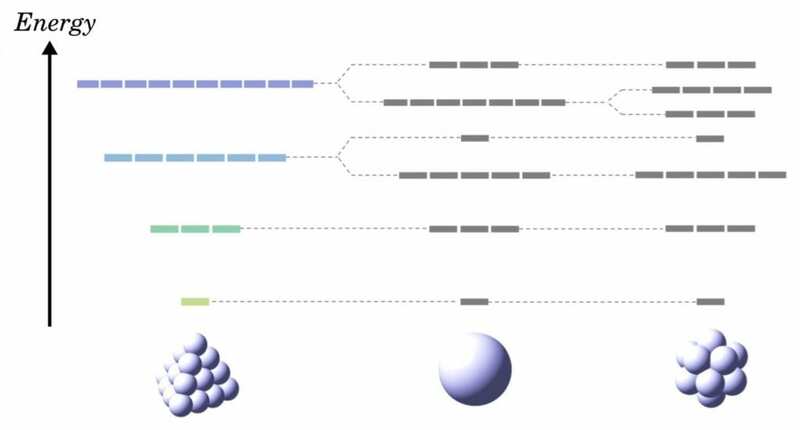 Unfortunately, given the limitations of geometrical symmetry, no substance is known to have a higher degree of degeneracy than spherical atoms (Fig. 1). But what if substances could have a different type of symmetry leading to a higher degree of degeneracy? How could such a symmetry be explained?